After a year of expansion into the U.S. and Europe in 2018, Dubai-based Titan Aviation has added new international AOC and other approvals in the last three years to become a global company, and is looking to more than double its managed fleet to 50 aircraft in the next two years. 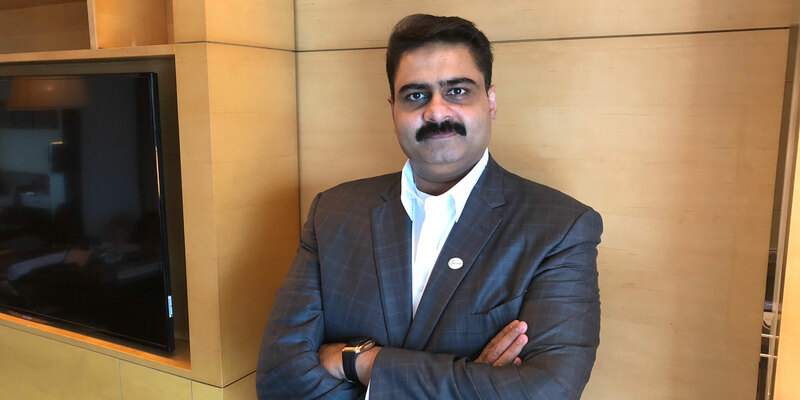 “2018 has been a year of expansion," Sakeer Sheik, managing director, Titan Aviation Group, told AIN during a brief stop in Dubai on the way from the U.S. to India. "Besides physically [moving] into Europe and the U.S., the company has also taken a decision to launch [operations] into Asia-Pacific with immediate effect. Further, a global sales plan is being implemented, with key positions being filled by qualified professionals,” The sales plan covers aircraft management, aircraft sales and charters, he said. Titan has four international approvals that pave the way for global operations: a U.S. Part 135 charter certificate, a San Marino AOC, a Cayman Private Flight Operations Approval, and an Indian AOC. “[These approvals give] our clients the best of solutions, based on their region of preference to position their jet. We have owners from different parts of the world, not just India. We are a Dubai-based company and represent owners from the Middle East, Europe, the U.S., and also from India,” he said. At last year’s NBAA show, Titan claimed to have logged 5,500 revenue hours per year in its charter operations. He confirmed comment elsewhere in the market that the transition to FBOs at Dubai’s DWC is well underway. “For any operator, services provided by companies like Jetex Flight Support or ExecuJet, for example, are attracting more people to DWC. Some used to use [FBOs in other locations], but then found better facilities at DWC. At least two of our owners [have moved] to DWC. It is a bit more expensive, but with better service levels. The facilities really did attract many new customers,” he said. Middle East-based air-ambulance operations are limited but are likely to prove rewarding with the recent withdrawal from that market of Abu Dhabi-based charter specialist, Royal Jet. “We are in the process of re-launching [medevac] in the first quarter of 2019,” he said. The decision of the Indian authorities to open the field up to third-party aircraft management is also an opportunity for Titan Aviation. “This is a great move that happened in a timely manner. I hope external factors don’t come into play in between. We have set up our management business there, and it is strong and growing. It is in a good position in terms of the regulatory requirements,” he said. Sheik is well versed in business aviation activities throughout the Gulf Cooperation Council region. “We manage one aircraft based in Kuwait. Kuwait has good users of the jet and we have been operating there since 2008. Many owners and users prefer to keep their flying habits very private. The Chennai floods in 2015 proved a serious setback to the company, when eight aircraft, including a Global 6000 and a Gulfstream G200, were damaged beyond repair after monsoon rains at Chennai Airport. But Sheik now regards the incident as a pivotal moment in the company’s history.